On the eve of Conservative Party conference on Sunday 3 October, the Co-Operative group in partnership with British Youth Council, Young Mayor’s Network, Conservative Future and Envision are organising a question time-style event for young people called ‘What’s Youth Got To Do With It? : engaging with the next generation. The event is happening outside the secure zone between 5.30pm and 7pm at IET Birmingham, Austin Court (behind BICC) in the Kingston Theatre. A limited number of free tickets are being made available to interested YFC members under the age of 25. If you would like to go, contact NFYFC youthwork development officer Catherine Sykes. If you missed your chance to sign up to go skiing in the new year with Snowploughing on the event organised for YFC members, there is now a second chance to get in on the fun. The Snowploughing Event booking system has re-opened for a limited time only, so if you missed out last time make sure you get your £100 deposit down. Spread the word, invite friends and get involved! It is now only 15 weeks until hundreds of YFC members and friends hit the slopes at Val D'Isere. Total trip cost is £399, which includes travel, accomodation and ski pass. For more information visit www.snowploughing.co.uk or email snowploughing@yahoo.co.uk. 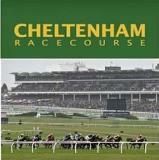 NFYFC’s annual Race Day at Cheltenham is a fantastic day out and takes place on Sunday 14 November. It provides the perfect opportunity to enjoy a day of top class racing and entertainment with fellow YFC members and guests from around the country. There will be more than 80 trade stands to visit – ideal for Christmas shopping – and there’s always plenty of other pre-racing entertainment to enjoy. Prices for tickets are £18 per person for current YFC members and £23 for associate YFC members. Ticket price includes post and packing. Ticket orders must be received at the YFC Centre no later than 12noon on Friday 29 October 2010 together with full payment for tickets ordered.